Clothing/Jewelry Description A jacket, white capri pants and sneakers. Medical Conditions Dearing has Alzheimer's disease and paranoid schizophrenia may be disoriented as the result of her conditions. She may be in need of immediate medical attention. Distinguishing Characteristics African-American female. Brown hair, brown eyes. Dearing's ears are pierced. She may use the last name McCovery. Her nickname is Fudge. 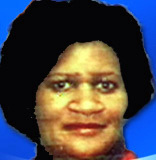 Dearing was last seen walking near her daughter's residence in the vicinity of the 7000 block of Crandall Road in Grand Bay, Alabama, two miles from the Mississippi state line, on December 15, 2004. She has never been heard from again and few details are available in her case. Some agencies give the place of Dearing's disappearance as Mobile, Alabama. She is from Pennsylvania and was visiting Grand Bay at the time of her disappearance. Updated 2 times since October 12, 2004. 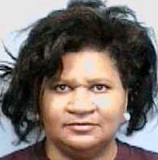 Last updated October 28, 2005; details of disappearance updated.